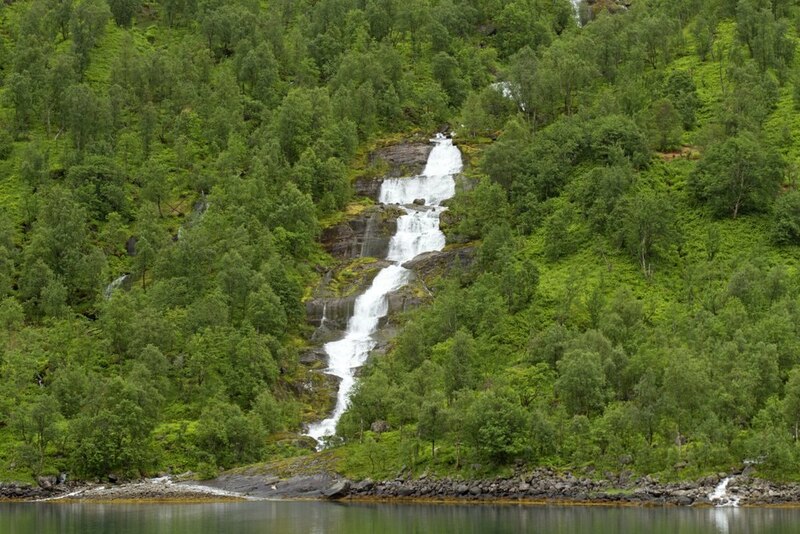 Norway is a country of endless possibilities for an expedition yacht with a willing Captain and crew. The rewards of that potential were reaped today with an expedition stop in a small fjord that no one onboard had previously visited. The surrounding 1,000 metre peaks, combined with absence of roads and a nearby national park indicated that it was likely to be a good choice. This proved to be the case, with everyone landing for hikes of varying length (and elevation gain) through a beautiful valley. The day was clear and sunny and in this warmth we enjoyed hiking as far as remnant patches of snow. Spring comes late at this latitude and we found an abundance of wildflowers and in the colourful meadows a variety of butterflies. This was exactly the sort of outcome that we had hoped for from our expedition stop and once more Norway delivered.